If you’re heading to New York City, you’ll definitely want to do some planning. Even if you typically like to wing it while traveling, you really need to do a little research to make the most out of your time. One area where planning ahead always works out for us is food. There are so many options, so deciding where to eat in New York City can quickly become overwhelming. Especially when you’re hungry! And if you don’t have a plan you’ll end up eating at Olive Garden in Times Square. (There’s nothing wrong with Olive Garden in Times Square, but when you’re in a city with so many amazing food options you don’t want to settle for that!) So I have a list of some of our favorite places to eat by neighborhood and want to share it with you. This makes it easy for us to know what our options are in different parts of the city. These places are pretty much all family friendly and have a variety of foods (in case you’re traveling with any picky eaters-not that I know anything about that). 🙂 One last thing you need to know before reading the list: we don’t eat healthy in NYC. We go for it! Pizza, Burgers, Fries, Donuts! For us, this is part of the fun of vacation. Eating whatever we want, whenever we want. BUT! Most of these places do have healthy options, so you’re good either way. Chelsea: Bubby’s, Bareburger, The Grey Dog, Friedmans – inside Chelsea Market. Doughnut Plant – if you go to NYC and don’t visit Doughnut Plant, you have to go back and do it right! 🙂 The coconut crème will make your stomach HAPPY! It’s the best donut I’ve ever had. Dramatic statement, I know! I usually like cake donuts but think the yeast ones are much better here. It’s located in the old Hotel Chelsea. You can also get them on the LES, in Brooklyn, and Queens. This location is my favorite though! Lower East Side/East Village: The Smith is one of my top 5 places to eat in NYC. And the LES location is my favorite. Go for breakfast or brunch – the food is delicious. And there’s a photo-booth in the basement! There’s a Doughnut Plant in this neighborhood too, but note that this location is cash only. Freemans is another fun spot! 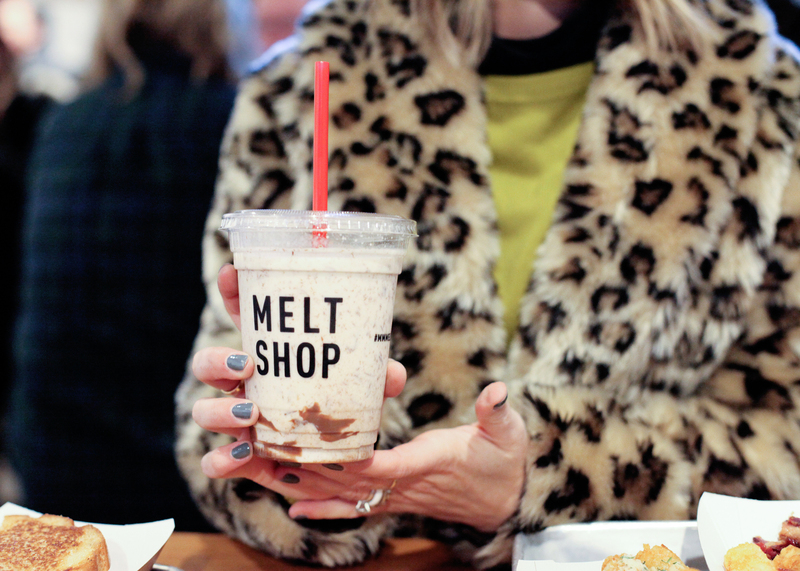 Midtown: Melt Shop – We took our little grilled cheese aficionado here, and it was a hit! They have locations all over the city, but the Midtown one was recently renovated. The loaded tots are amazing! And save room for the Nutella shake. Even though it’s total comfort food, they obviously use high quality ingredients. I usually can’t drink a shake without wanting to die afterwards, but just felt like I wanted another one after our trip to Melt Shop! Ipanema is a Brazilian place with delicious food. And if you can’t get in there, there’s a place right down the street, Emporium Brasil, that also has amazing Brazilian food! Bill’s Bar & Burger is a great place for bar food and is conveniently located right next to Rockefeller Plaza. It’s one of those places where anyone can find something they like, and the atmosphere is fun. 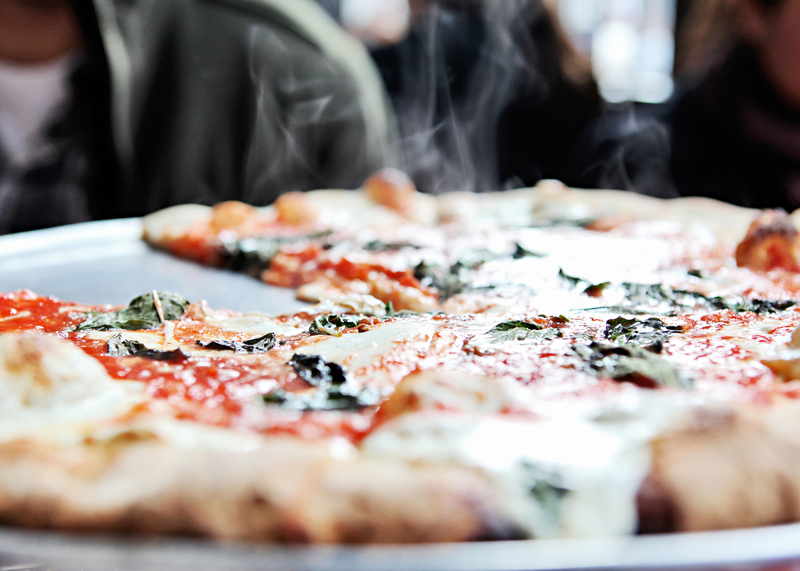 Stella 34 – an upscale pizza spot on the 6th floor of Macy’s. Shake Shack – they’re everywhere. Literally! Grand Central and Herald Square are popular locations in this area. The Smith (another location) is also in this neighborhood. Little Italy/Nolita: A few years ago we found the best cannoli in the city! Okay, maybe just the best cannoli we’ve had in the city! Here’s the thing, I don’t even like cannoli (weird, I know. But I don’t like the cheese desserts-not even cheesecake), but Farrara Bakery & Cafe totally converted me. This place is a hole-in-a-wall in Little Italy. There’s nowhere to sit, but that doesn’t stop us from ordering dessert, including birthday cake for Kingston on our last trip, and taking it all back to our hotel to devour. The Grey Dog and Tacombi are fun spots on Mulberry Street! 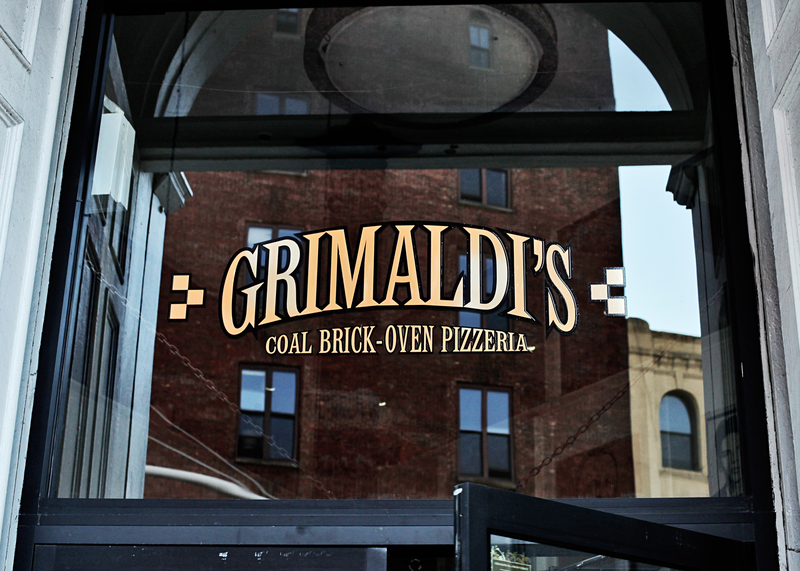 Lombardi’s pizza is tasty, but we still prefer Grimaldi’s in Brooklyn. Parm is a tiny little Italian place (right next to The Grey Dog) that has the BEST baked ziti and a yummy chicken parm sandwich. Get the pizza knots for an appetizer! Financial District: George’s is an old diner that’s perfect for breakfast or brunch and more locations of: Melt Shop, Bubby’s, Bill’s Bar and Burger. There are literally thousands of places to try, but I hope this list will help you get started! Also, while we’re talking about food, you might want to pack some snacks in your suitcase. I like to bring Lara Bars, peanut butter crackers, granola bars, fruits snacks, etc. Each morning I just throw them in my bag, and they save the day when someone (me) starts getting hangry! Want more NYC tips? Check out this post about how to get started planning your trip to the city!